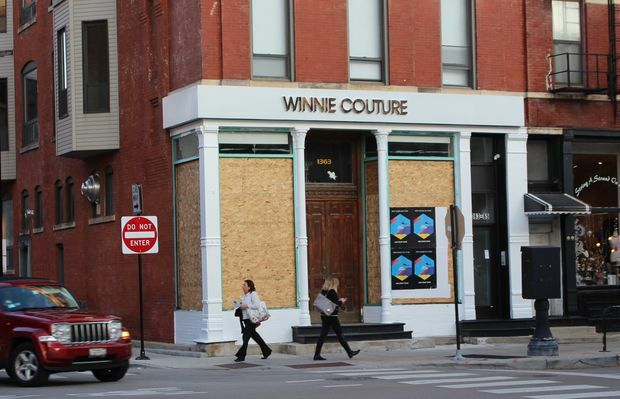 Winnie Couture is opening in a storefront at 1365 N. Wells St.
OLD TOWN — Something old, something new, something borrowed, something blue? Winnie Couture plans to cover at least two of those four bridal must-haves this month. The high-end bridal boutique, with headquarters in Beverly Hills in Southern California, plans to open a new outlet in Old Town at 1365 N. Wells St. with a grand-opening party set for Nov. 11. Winnie Lee and her husband, Chris, launched their luxury bridal line in 2001 and went on to open their flagship store in Beverly Hills in 2009. They boast that their "profoundly feminine gowns quickly became known for their immaculate craftwork and impeccable fit." Since then, they've opened other outlets in Atlanta, Houston, San Francisco, Charlotte, N.C., and Hong Kong. The new Old Town location is already taking reservations and plans to offer "the most intimate and luxurious bridal shopping experience with the largest selection of designer wedding gowns favored by Hollywood top celebrities."